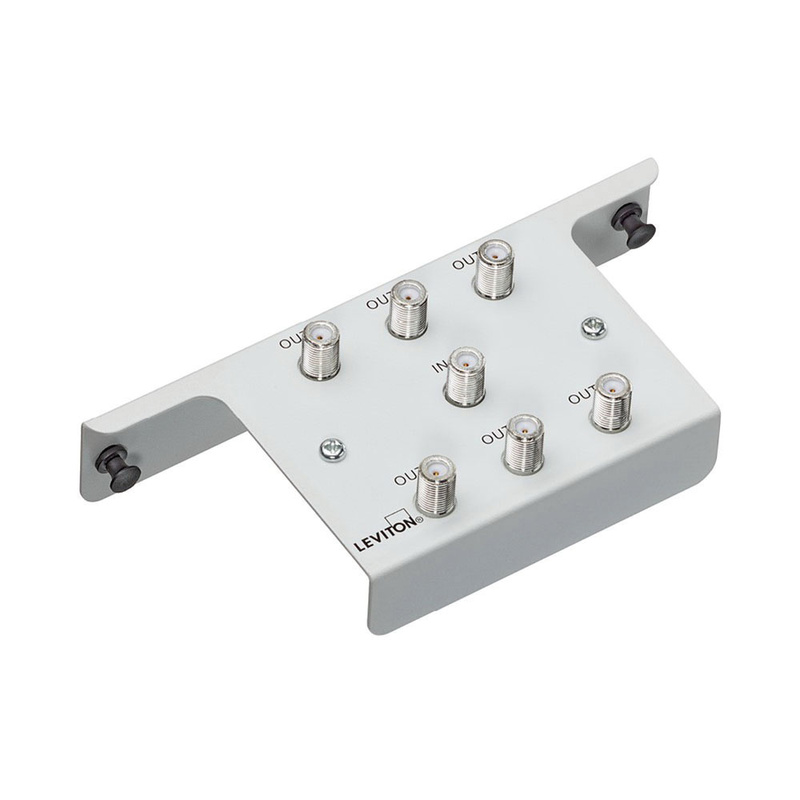 Leviton 6-Way 1x6 style passive video splitter module in white color, has powder-coated 18-Gauge steel construction for added durability. This module with 75-Ohm impedance, has a female input connection at one end and six female output connections at the other end. It has a frequency rating of 2-Giga-Hz. This module measures 6.57-Inch x 1.44-Inch x 3.1-Inch. The module incorporates die-cast housings and printed circuit board. It can be installed in Leviton MDU enclosures. This module has gold-flashed contacts to offer low conductive resistance and has built-in capacitors on all ports to block DC or low frequency AC. It withstands a temperature ranging from -40 to 85 deg C and has a mounting bracket for easy installation. It is suitable for splitting digital cable, quality cable TV and off-air signals to six or eight televisions throughout a home or office. The passive video splitter module meets ATIC, SCTE and MoCA standards.